Knoa’s Flooring entices you to live unto the newest millennium CITI with its latest engineered vinyl plank flooring. Millennium CITI Series is the best alternative to glue down LVT, solid locking LVT, or laminate flooring due to its water proof core and with natural wood inspired designs there is no worry of real wood maintenance. 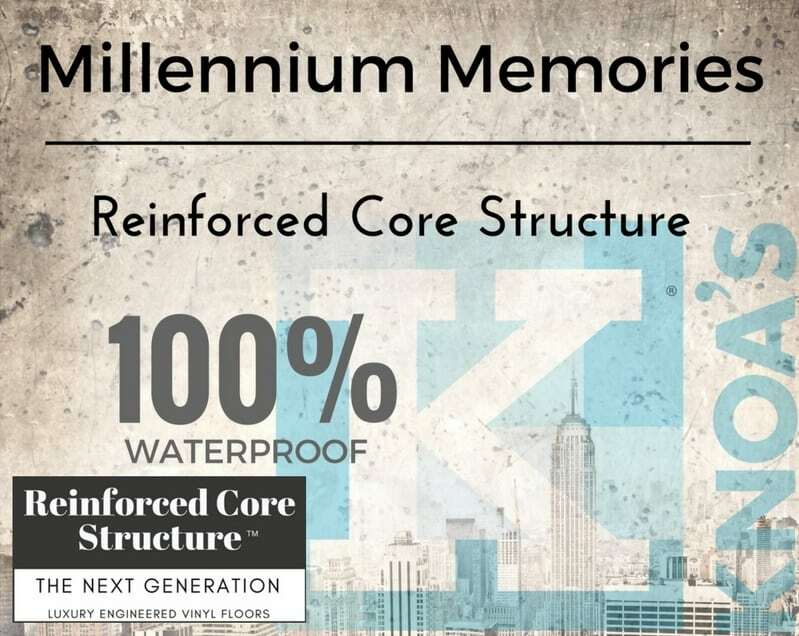 Since Millennium CITI Series is 100% waterproof, Millennium CITI Series floors can be installed in wet areas and will never swell when exposed to water. Knoa’s Flooring entices you to live unto the newest millennium with its latest engineered vinyl plank flooring. Millennium Series is the best alternative to glue down LVT, solid locking LVT, or laminate flooring due to its water proof core and with natural wood inspired designs there is no worry of real wood maintenance. Since Millennium Series is 100% waterproof, Millennium Series floors can be installed in wet areas and will never swell when exposed to water. 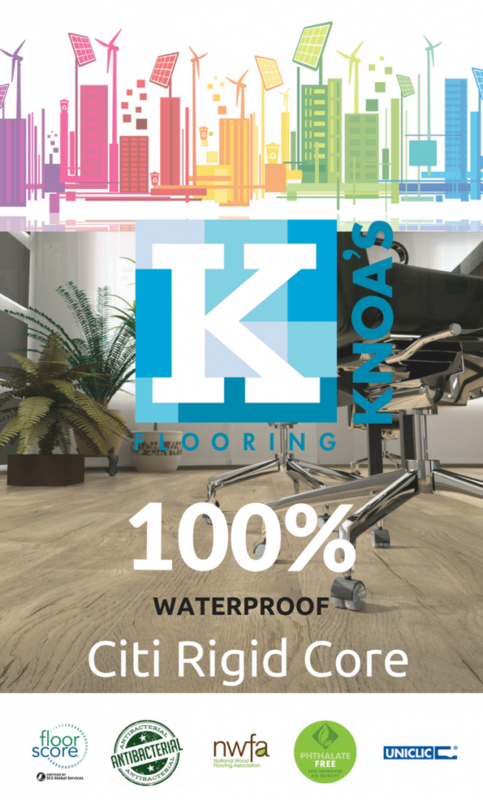 Knoa’s Citi Rigid Core is made out of 100% virgin material and contains 60% limestone giving it incredible strength, rigidity and waterproof properties,making it 3 times more rigid and 10 times impact resistant than standard LVT! Citi Rigid Core is the best alternative to glue down LVT, solid locking LVT, or laminate flooring due to its water proof core and with natural wood inspired designs there is no worry of real wood maintenance. It’s a thinner product with a higher rated PSI and greater indent resistance. Since Citi Rigid Core is a 100% waterproof, Citi rigid core floor can be installed in wet areas and will never swell when exposed to water. The Urbia Series durability makes it a great choice for high traffic areas of your home and it’s beautiful natural appearance will keep your décor stylish and fresh. © 2018 Knoa's Flooring Inc. All rights reserved.